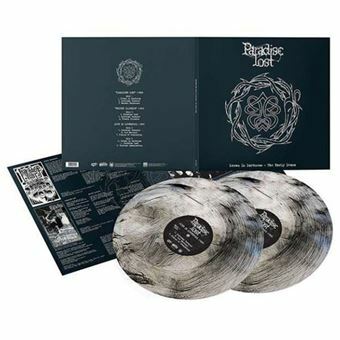 Edição oficial Record Store Day 2019"Drown in Darkness – The Early Demos" is a compilation album featuring the music of Paradise Lost from their demos made in 1988 and 1989. Tracks one through three is taken from the band's 1988 demo "Paradise Lost"; tracks four through six is taken from the band's 1989 demo "Frozen Illusion"; tracks seven through twelve is taken from the band's other 1989 demo "Plains of Desolation". "Drown in Darkness – The Early Demos" is a compilation album featuring the music of Paradise Lost from their demos made in 1988 and 1989. Tracks one through three is taken from the band's 1988 demo "Paradise Lost"; tracks four through six is taken from the band's 1989 demo "Frozen Illusion"; tracks seven through twelve is taken from the band's other 1989 demo "Plains of Desolation".